The girls are invited to a party and want to look beautiful. The nails of course are very important. 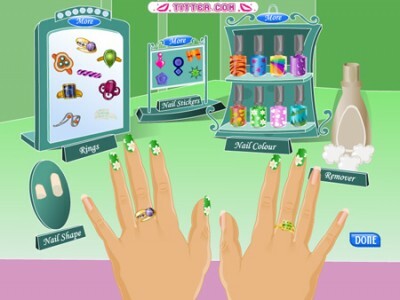 Make nice manicure by choosing the best nail polish colour and rings.